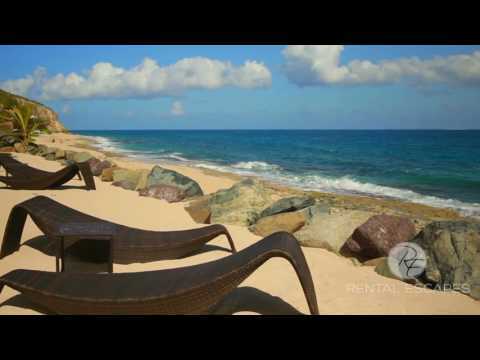 Located on one of the most coveted stretches of beach in St. Martin, on Baie Rouge, are the three beautiful properties of La Perla Collection. The superbly appointed La Perla Palais with its three master suites is the principal property in the collection and features exquisitely designed Lulu by YSL interiors. 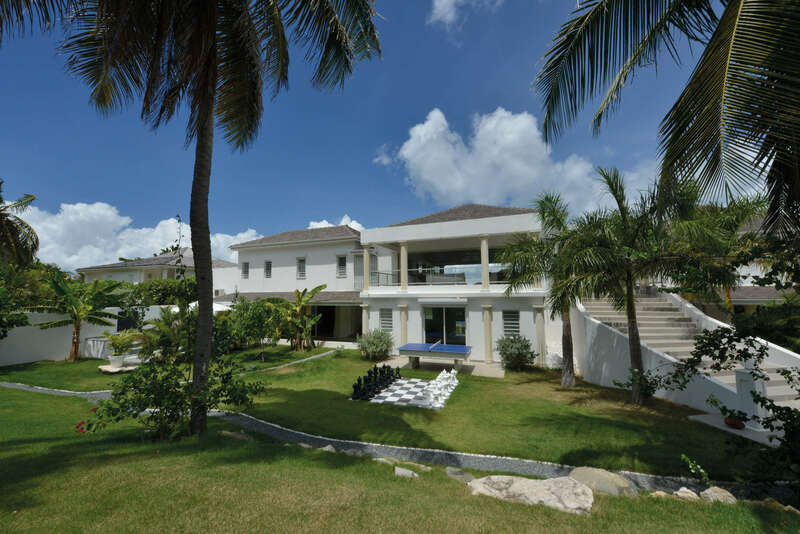 The residence welcomes visitors with an oversize outdoor chess game in the tropical gardens and a sweeping staircase leading to the main reception area. The sumptuous, grandly scaled living area opens out to a vast terrace and impressive chlorine free pool that overlooks the beach, crystalline waters and distant curve of the coastline. The terrace has lounging and dining areas perfect for alfresco entertaining. From the pool terrace you can step down to a private beach area with comfortable loungers raised up from the shore line. The villa has a superb gourmet kitchen with Miele fittings and a second professionally equipped service kitchen. Flanking the terrace area are the three fabulous master suites: Klimt, Venetian and Lulu each with very large and lavish en suite bathrooms with Dornbracht fittings and air conditioned walk in closets. The villa is air conditioned throughout and has superb amenities including a media room, a fitness room with a power plate machine and on site professional advice, a spa with hammam and sauna and a Jacuzzi and massage table (Children must be over 16 to use the power plate machine). The villa provides all the in house services you can dream of such as onsite spa treatments to chauffeurs or chef service. Please contact us for more details. This villa can be rented on its own as three suites or alongside its two sister villas La Perla Bianca and La Perla Classic providing five suites in all. 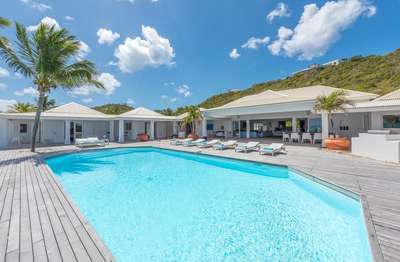 Located within the gated residence of Baie Rouge in Terres Basses with round the clock security. The caretaker lives on site. This property has two cats that live at La Perla Palais and a dog on the premises with the caretaker. This rental includes complimentary round trip airport transfer for up to ten guests and a personal welcome at your property.